Wheat is the engine of grain price rises, after the drought in Europe, Australia and the former Soviet Union turned the crops into real deserts, according to a Saxo Bank analysis released by the Editorial Board. The European wheat market has increased in Paris the price of wheat futures up to over EUR 200 / metric ton for the first time in the last three years, according to the Danish investment and online trading institution. 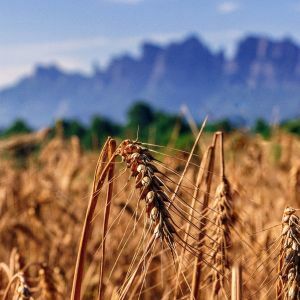 "The dry and hot weather in most key regions has led to rising prices, while $ 12 billion US subsidies to local farmers affected by trade tensions and an unexpectedly high demand from Europe have supported the price of soybean production. they had to resort to reserves to keep their animals alive, and the price of wheat grew considerably, because everyone is thinking about winter supplies, "the Saxo Bank report said. Thus, for the second consecutive week, the Bloomberg Commodity Index was trading rising, according to the Saxo analysis, which states: "Goods seem to have found their pace after a 10% loss in June , when the "commercial war" began, which led to a decrease in demand and, implicitly, the rise in price. " Gold precious metals have fallen, mainly due to correlation with the depreciation of the yuan, the silver price dropping for seven consecutive weeks, the worst fall in the last 18 years, says Saxo, adding: "Soft goods – sugar and coffee – they also felt the crisis through which the real Brazil goes. " Crude oil price correction, which has reached $ 80 / barrel, seems to be coming to an end, this evolution being supported by factors such as trade war and higher demand, according to the Saxo report. "Tensions will certainly fuel the idea that global economic growth will suffer and emerging economies will be in the first wave of negative consequences, already affected by the cost of the dollar and the rise in the cost of their external debt in that currency" , the communiqué said. According to Saxo Bank, Libya and Canada have resolved the issue of disruptions at delivery. In addition, several OPEC Gulf Cooperation Council countries – Saudi Arabia, the United Arab Emirates and Kuwait – have begun to increase production and exports. "Hedge funds have therefore liquidated many positions on Brent crude oil, which is why we maintain the view that the oil price will fluctuate between $ 70-80 / barrel. There is a safety net under this price created by certain related risks of stocks, despite the increased production started by the above mentioned states, plus Russia. Over $ 80 … it would be quite difficult to see such a price, especially in the context of a "widespread war on trade," says the report . Saxo Bank also draws attention to the current political context: "Trump has a struggle to carry out the midterm elections" (after mid-term). "After the first commercial tensions affected its voters – the soybean producers and corn, the last thing you might want would be to see gasoline explode. Based on this logic, we do not exclude a possible "opening" of strategic oil reserves. In this context, analysts at Saxo Bank see a peak oil price potential at this time of 76.33 dollars / barrel.